Do you want to play a new army? How about two new armies? And what about some new units? Or even game fixes? Boy do we have something for you! Today we are releasing our latest two armies, the crazy Machine Cult and the scary Beastmen. These were some of our most requested armies so we are really happy to bring them back to the fray. The Machine Cult is a strange faction of misguided humans that treat machines as holy and believe they can harness their spirit with pagan rituals. Their ranks consist mainly of human-machine hybrids and fanatics. Beastmen are half-man / half-animal creatures that are the result of ancient wizardry, and their mission is to destroy advanced civilizations so that nature can take over the land again. Their ranks are made up of mostly light/medium infantry that can be deployed via ambush. Today we bring you the first update to our new rules, which introduced two new factions, fixes a lot of mistakes, adds some new units, changes some names, and more. Soul-Snatchers are evil aliens that invade planets covertly, infecting the local population and mutating them to fight for their cause. Their army mainly consists of infantry units that can scout into battle and have plenty of tricks up their sleeves. Chivalrous Kingdoms are factions of religious fanatics that consider technology to be heresy and stick to the old fashioned way. Their army consists mostly of cavalry with the lance formation special rule, which makes them brutal on the charge. Today I’m going to make the last update regarding the new version of everything. In our previous iteration we used to have our 4 core games, but also a lot of other small games. Whilst we liked those games, we think that they deserve better treatment, so we have removed them for now as we work on a new concept for them. What we would like to do with our non-core games is to have them be smaller self-contained titles which come with unit creation systems. This way players are able to customize the games to their liking and to be playable with whatever models they have. 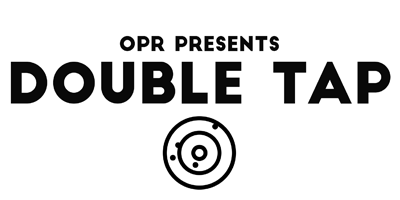 Double Tap is a game of fast-paced firefights set in the near future. The game is based around a reaction system which keeps both players engaged at all times, and which simulates the intricacies of modern combat quite well. Whilst the game has rules for near-future abilities, such as hacking and active camouflage, it can be played using any modern combat miniatures from WW2 to contemporary military. At the center of this game is an action/reaction system which makes it so that both players are almost taking turns together. The system also allows you to activate the same unit multiple times during the same turn, so you can expect crazy heroics to happen quite often! In order to keep things simple we are introducing a 4 step unit creation system, which should hopefully be intuitive enough to be easily understood. This is the system which we would like to keep using moving forward for any other one-page games in this style. By using one coherent unit creation system across these games we hope to lower the barrier of entry and get you to the table happily rolling dice faster. All right, so now that we have you updated on all the systems what’s next? Over the next couple of weeks I will mainly be focusing on adding a ton of armies for our core games and on generally refining what we have put out so far. At the same time I am going to slowly start working on more one-page games and see where those take us. Sooooo, that’s truly it for now, talk to you again soon! In our last two updates we focused on our large-battle games, so now it’s time to focus on our smaller skirmish games. Because both games run on essentially the same engine we are just going to make one post discussing what has changed in both of them. As we already discussed in our last two posts the biggest change is the move from just having Quality to having Quality & Defense. We won’t bore you with the details again, but in case you missed our post talking about it you can go and check it out here. Moving on there were two major things that we wanted to address in our skirmish games: hero abilities and morale tests. In our old editions heroes had abilities that affected all friendly units within 3″, which led to a lot of confusion. It was unclear for example if you got a buff as you started activating within that zone, or if you got it as you moved into that zone. There were also a couple of instances where abilities didn’t really make sense following these restrictions. In order to address that you now pick one unit within 3″ when the hero is activated, and the ability affects that unit until the end of the round. This way it’s easier to track which unit is affected by what, and you should be able to use your heroes more effectively. The other thing that didn’t work as well as we wanted it to were morale tests and army routing. A lot of times it was unclear what happened when a special rule required you to take a morale test, and it felt very unfair that your entire army would rout based on a single failed roll. In order to address this we now specify what happens when you fail a morale test in the morale section (unit gets -1 in melee and must spend it’s next activation idle). The rout test also works a little differently now: each model takes a morale test, and models rout individually. This way you don’t see entire armies fleeing at once, but single models running away as morale crumbles. The hero limit has changed to 1 hero for every 450pts. All missions are objective based. In units with multiple models they all have to be within 3″ of each other. Heroes now allow friendly units within 6″ to re-roll results of 1 on rout tests. All units are considered to be Infantry regardless of their model. Weapon stats are now shown directly on the army page. One of the coolest things about our skirmish games was that they each came with campaign rules to play interconnected missions with an epic narrative. Unfortunately we still haven’t had the time to re-work those for the new edition, so they are gone for now. So yesterday we introduced the changes to Grimdark Future, today we are bringing you a little update on what has changed of Age of Fantasy. In order to make playing both versions as smooth as possible we have re-worked the balance of the armies so that the army lists are compatible with either. Additionally we have brought some more changes. The biggest change is something we spoke about already yesterday, and that is the move from a single stat (Quality) to two stats (Quality & Defense). This change allows you to add more depth to the game without increasing complexity, and should allow us to make more interesting units in the future. That’s probably the biggest thing you’ll have to get used to when playing both of these games, but there’s more. So onto the rest of the updates. 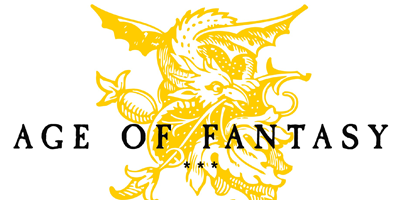 For Age of Fantasy, there isn’t much to say because we didn’t really have an equivalent game before. So I would recommend just trying it out, it’s Grimdark Future but fantasy. The unit type limits have been changed to 1 monster/chariot/artillery for every 250pts and 1 hero for every 500pts. Players can only deploy across the long table edges. The game sequence has changed as is now alternating activations instead of alternating phases. We liked the phases system but it created too many issues and was overall too complex, so we cut it. Unit speeds have been buffed a little to make the game a bit faster. You don’t get a bonus to your melee results for charging a unit in the flank/rear, instead the bonus is inherent: units can only attack in their front facing, so if you charge a unit in its flank/rear you don’t get return strikes. Heroes can join any infantry unit now, not only ones of same quality. Spears now get the Phalanx rule (for cavalry they have Impact(1) instead), Halberds get AP(1), Great Weapons get AP(2), Lances get Impact(2). Added some new special rules: Ambush, AP(X), Blast(X), Deadly, Phalanx, Slow. The Nimble rule is gone, instead units with Fast can pivot twice. Wizards now work differently, there is no more miscasting and you can’t dispel unless you have a psychic of your own. Tough has changed: you must always kill regular models first before starting to put wounds on tough models in the unit. We have changed the way the rulebook is structured now, so that each army list comes separate from the main rules and included a little bit of background story and some strategic tips for each army. The game also has a distinct lack of armies for now, with only 9 at launch. We are going to keep adding new armies over the coming weeks, both old and new. We hope that this post has shed some light on our thoughts behind the new edition and that you enjoyed reading it. If you have any questions or see anything wrong (grammar mistakes, missing units, etc.) please let us know! First off I wanted to thank all of you that have already contributed so far, we are barely 24 hours into the Patreon and have already achieved the first goal, so I have high hopes for the future. 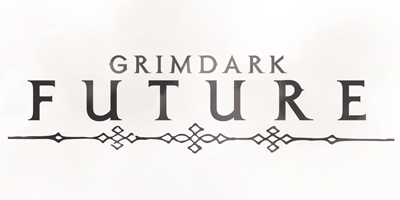 Yesterday we revealed the new look and launcher our Patreon, which is all great, but it’s time to talk about Grimdark Future now. 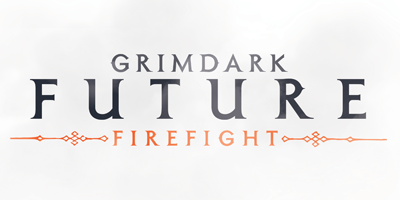 Grimdark Future is the latest edition of our squad-based sci-fi wargame, and brings a whole new set of features to the table. We have been working on this evolution for a long time now, and we think it serves as the foundation of our wargaming future. In order to make this new release “future proof”, some things had to change however. This wasn’t easy, and we tried to keep as many of the old systems as possible, but it was necessary to ensure that this edition will stand the test of time. The biggest change was to move from having only 1 unit stat (Quality) to having 2 unit stats (Quality and Defense). By giving units one extra stat we are able to add a lot more depth to the game, without increasing its complexity. Additionally we now use roll modifiers in order to account for things such as cover or piercing attacks. This again allows us to add depth without increasing complexity. Whilst this change might seem small, it actually decreases the amount of rolls needed in certain situations from 4-5 to just 2 rolls, whilst also keeping things consistent. First you roll to hit, then you roll to wound. That’s it! The unit type limits have been changed to 1 vehicle/monster for every 250pts and 1 hero for every 500pts. We have also introduced a new titan unit type and you can take 1 titan for every 1000pts. Units may fire all their weapons even when advancing. There is no more vehicle damage table. Flyers don’t have to roll to enter the game anymore, and enemy units get -1 to their shooting rolls against them. Added some new special rules: Anti-Air, AP(X), Blast(X), Deadly, EMP and Slow. Furious doesn’t allow you to charge when disembarking anymore. Psychics now work differently, there is no more miscasting and you can’t dispel unless you have a psychic of your own. Outside of these gameplay changes we have also changed the way the rulebook is structured. The army lists now come separate from the main rules so that we could introduce a short introduction to each army’s background story and a couple of strategy tips to play the army. Hopefully this will give players a better idea of what models to use for their army, as well as give them a rough idea of what to expect from each army. As you may have noticed, the game only launched with 8 armies and the basic game rules, but don’t worry as this isn’t the end. Over the coming weeks we are going to be re-releasing some of the old favorites again (adapted to the new edition) as well as adding a couple of brand new armies. As for the beginner’s guide and the other armies (ww2/modern), we are looking into re-releasing something similar in the future, however we haven’t fully planned it out yet. Once we get close to a final release we will let you know. We are extremely pleased to announce that finally OPR is on Patreon! Go support us right now: SUPPORT US HERE! As you can see we have updated all of our games, website, forums, social media pages, etc. and this is still going to take a while. We are going to make a new post soon detailing everything that is new in the latest editions of our games and what’s to come soon.